One of our own Mambo Dancers, owner of the Starlite Dance Studio and director of the Heartbreak Boyz, David Melendez has developed what is called in medical terms a Malignant Mesenchymal Tumor. In laymenÂ’s term he has Cancer. It is unfortunate that anyone has to deal with a disease that people understand can end your life, but itÂ’s even worst when you know the person as well as we know Dave. 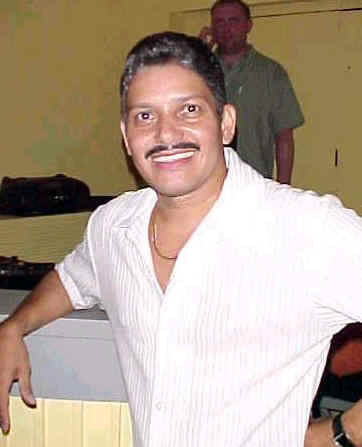 David has been part of the Latin scene for 25 years as a dancer, performer, instructor and choreographer. He created the Starlite Dance Studio in 1992 and has been teaching children since its doors were first opened. David has been a cornerstone and a elder statesmen in the development of NY Mambo. He is cordial, very respectful and a true gentlemen. ItÂ’s a shame that anyone like him has to receive such a devastating disease. We know that David is very strong and has a very positive attitude about his illness, and that he will fight this disease with everything he has. In a couple of weeks he is expected to begin chemotherapy and for most of you who knows anyone that has gone through chemo, you know that David will have a battle on his hands. He may lose his hair and feel weak but you can count on David still being very active in our Mambo Community as MC, promoter and dancer. Salsaweb, Salsaweb NY, SalsaNewYork.com, The DUO, Ben, Edie and myself wish David continued success with both his personal and business endeavors. It will be a rough year for him, our prayers and thoughts are with you Dave. May you have a successful and speedy recovering. ......and by the way David, I look forward to your continued presence on the dance floor.